Listed below are the screw types used in this system, plus their corresponding part numbers. NOTE The screws for the different components vary in size. During the disassembly process, group the screws with their corresponding components to avoid mismatches when putting back the components. Perform the Removing the Thermal Bracket procedure on page 46. 2. 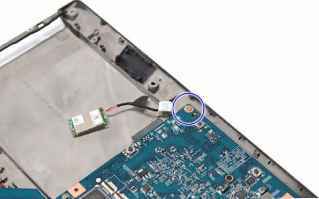 Disconnect the fingerprint reader and touchpad board cables. 4. Remove the fingerprint reader bracket from the upper case. 4. Remove the fingerprint reader bracket from the upper case. 5. Remove the fingerprint reader board from the upper case. To regain access to your computer if you lose the HDD password, you need to generate a master password and unlock your hard drive. 1. Open the computer in a DOS environment. 3. Press Enter to display the command options. 4. Select option 2 upper case ASCII code , then press Enter. 5. Write down the generated master password. 7. In the HDD password prompt, type the master password generated in step 4, then press Enter. Perform the Removing the Lower Case Cover procedure on page 31 2. Disconnect the main and auxiliary antennas from the WLAN module. 3. Release the WLAN antennas from their lower case latches. 4. Remove the screw securing the WLAN module. 5. Remove the WLAN module from its slot. Perform the Removing the Fingerprint Reader Board procedure on page 47. 2. 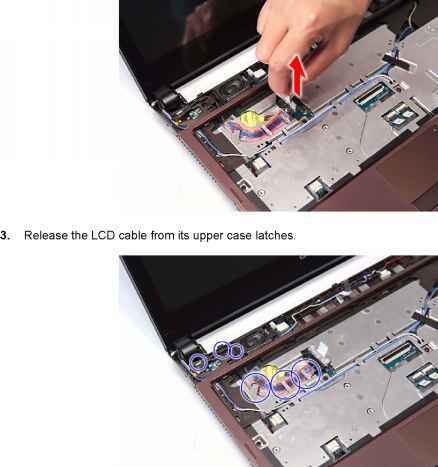 Carefully pry loose the touchpad board from the upper case to detach it. CAUTION The touchpad board is glued to the upper case. 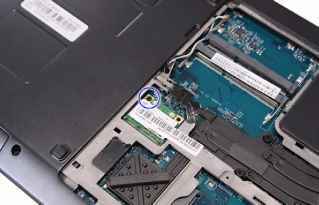 Remove the touchpad board only if it is defective. IMPORTANT A circuit board that is gt 10 cm2 has been highlighted with a red rectangle as shown in the above image. Follow the local regulations for disposing this type of circuit board. Perform the Removing the Lower Case Cover procedure on page 31. 2. Push out the latches on both sides of the DM1 slot. 3. Remove the memory module from its slot. 4. Repeat steps 2 and 3 to remove the DM2 slot module. 4. Repeat steps 2 and 3 to remove the DM2 slot module. Perform the Removing the LCD Module procedure on page 40. 2. Remove the rubber pads covering the LCD bezel screws. 3. Remove the screws securing the LCD bezel. 4. Carefully pry loose the bezel from the LCD case. Start on the hinge part a , continue on the bottom side b , then to the left and right sides c , and finally on the top side d . 5. Detach the LCD bezel from the LCD case. Shut down the BIOS failed-computer. 2. Connect the USB storage device containing the BIOS recovery crisis disk files to the failed computer. 3. Press and hold lt Fn gt lt Esc gt keys this is the BIOS recovery hotkey , then press the power button. The system will now execute the BIOS recovery process. When the process is complete the computer will automatically reboot. 4. 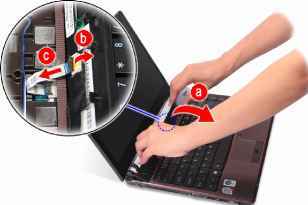 Disconnect the USB storage device from the computer. 5. Perform a BIOS flash procedure to update the BIOS firmware. Perform the Removing the Middle Cover procedure on page 39. 2. Use a plastic flat screwdriver to push the latches on the top side of the keyboard. Slide the keyboard towards the LCD module, then once it's detached from the upper case, turn it over the palmrest a to gain access to the keyboard cable. 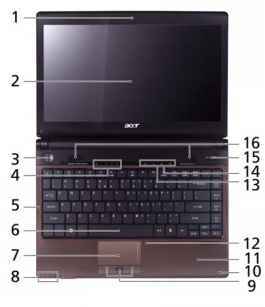 Open the keyboard cable connector b and disconnect the keyboard cable c .
Perform the Removing the Upper Case procedure on page 43. 2. Remove the screws securing the ODD bezel to the lower case. 3. Detach the bezel from the ODD module. 3. Detach the bezel from the ODD module. 4. Push the ODD module outward to detach it from its connector, and then pull it out of the lower case. 5. Remove the screw securing the ODD bracket. 6. Detach the ODD bracket from the module. 6. Detach the ODD bracket from the module. Perform the Removing the Lower Case Cover procedure on page 31. 2. Remove the screw securing the HDD bracket. 3. Grasp the black mylar tab and use it to slide the HDD assembly from its connector, and then remove the HDD assembly from its compartment. 4. 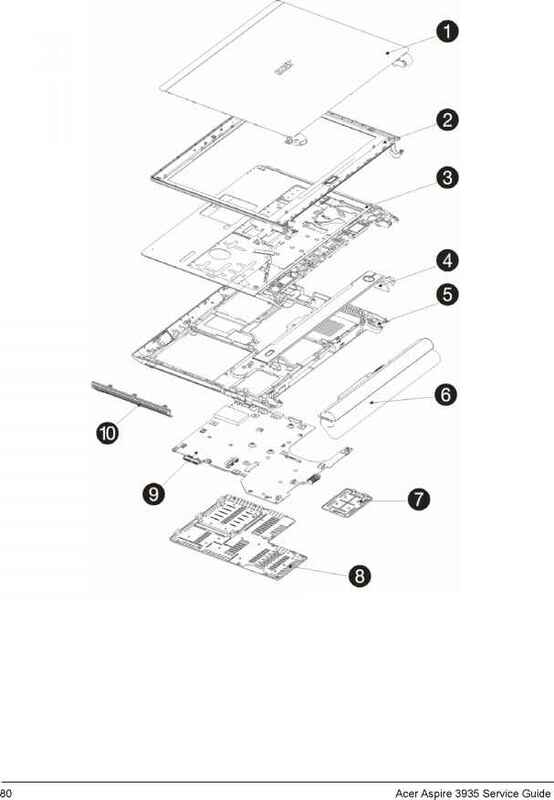 Remove the HDD module from its bracket. Perform the Removing the LCD Bezel procedure on page 58. 2. Disconnect the CCD board cable. 3. Remove the screws securing the LCD panel brackets to the LCD case. 4. Detach the LCD panel from the LCD case a and turn it 90 clockwise b to access the LCD-CCD coaxial cable. 5. Detach the LCD-CCD coaxial cable from the LCD case. 6. Detach the LCD-CCD coaxial cable from the inverter board.